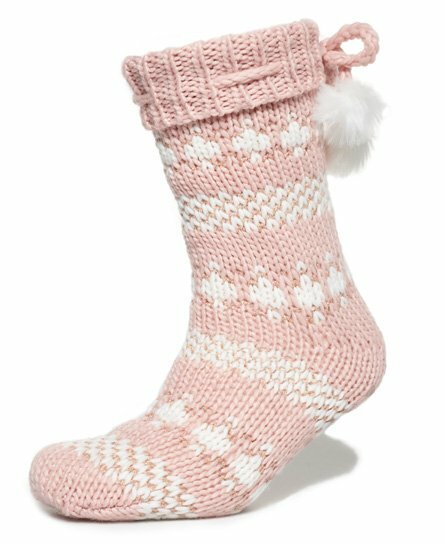 Superdry women’s Sparkle Fairisle slipper socks. Keep warm and cosy as you relax at home in the Sparkle Fairisle slipper socks. These slipper socks feature faux fur pom-pom detailing and a super soft lining for an added touch of luxury. The Sparkle Fairisle slipper socks are completed with a Superdry logo tab on the hem and the rubber Superdry logo on the sole helps improve grip.